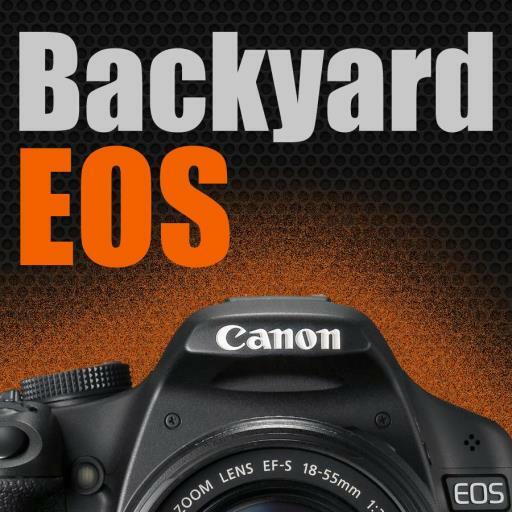 BackyardEOS supports over 30 Canon EOS camera models! When you see (serial) for a particular function, it means a serial cable is needed to access that function in addition to the regular USB cable for all other functions. BackyardEOS has been tested with Shoestring Astronomy DSUSB serial cables and Hap Griffin's serial cables. If you have purchased BackyardEOS in the past chances are you can upgrade to the most latest version/edition for free. I already have 3.1 and I just want the latest release. What do I do? Upgrading from BackyardEOS 3.1.x to the latest 3.1.x is FREE. If you currently own BackyardEOS 3.1.x and simply wish to get the latest version of that same edition there is no special upgrade path; simply download the latest version, install, use the same key, and enjoy! How-to upgrade from BackyardEOS 1.x or 2.x to BackyardEOS 3.1 Classic or Premium Edition? Upgrading from BackyardEOS 1.x or 2.x to BackyardEOS 3.1 Classic Edition is FREE. Upgrading from BackyardEOS 1.x or 2.x to BackyardEOS 3.1 Premium Edition is $15 USD. You need your 18-line BackyardEOS 1.x license key. Send us your complete 18-line version 1.x or 2.x license key. Contact Us. We will send you a coupon code, this may take up to 24 hours. Go to our store and add BackyardEOS Classic Edition in your cart and proceed to checkout. Enter your coupon code on the checkout page. What if I want Premium Edition instead? Just add the Premium Edition in your cart instead of the Classic Edition and use the same coupon. You will have to pay the cost difference. How-to upgrade from BackyardEOS 3.0.x Classic Edition to BackyardEOS 3.1 Classic or Premium Edition? Upgrading from BackyardEOS 3.0.x Classic Edition to BackyardEOS 3.1 Classic Edition is FREE. Upgrading from BackyardEOS 3.0.x Classic Edition to BackyardEOS 3.1 Premium Edition is $15 USD. You need your 5-line BackyardEOS 3.0.x license key. Your coupon code is the first line of your 5-line BackyardEOS 3.0.x license key; it is 29 characters long including dashes. How-to upgrade from BackyardEOS 3.0.x Premium Edition to BackyardEOS 3.1 Premium Edition? Upgrading from BackyardEOS 3.0.x Premium Edition to BackyardEOS 3.1 Premium Edition is FREE. Go to our store and add BackyardEOS Premium Edition in your cart and proceed to checkout. Your new activation key will be issued ON-LINE immediately once the transaction is complete. How-to upgrade from BackyardEOS 3.1.x Classic Edition to BackyardEOS 3.1.x Premium Edition? Upgrading from BackyardEOS 3.1.x Classic Edition to BackyardEOS 3.1 Premium Edition is $20 USD. Enter coupon code 'BYE-UPG-PREMIUM' on the checkout page.